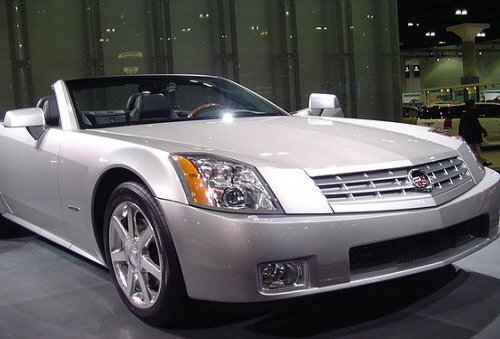 The Cadillac XLR two-seater has a weight capacity of 362 pounds. Irony of ironies. It sounds like a plot line from "The Simpsons" — and, the fates willing, someday will be — but it seems Americans are growing too obese to be transported safely by many car models. the maximum weight — passengers and cargo — that’s safe to carry. Many two-seat sports cars, including Mazda MX-5 Miata and Chevrolet Corvette, aren’t certified to carry two 200-pound adults, according to a government formula aimed at tire safety. overloading was considered a factor that could cause tires to fail. regulation," says Mazda safety director Dan Ryan. The limit may not be realistic “given American propensity for food, but that is the regulation,” says Mazda safety director Dan Ryan. The problem is the American propensity for driving everywhere they can. I personally gained about twenty pounds when I lived in North Carolina. In a lot of the country, walking is something that you do by driving to a designated walking area; biking is similar. If Dan Ryan is really concerned about safety and obesity, he should be encouraging people to rebuild their walking infrastructure, but then they wouldn’t be driving his cars on his expressway. Angus: The problem is not limited to the American propensity to drive; the desire and ability to drive prompts a tendency for infrastructure to be build around the auto, creating a positive feedback loop where even those of us who would prefer to walk or bicycle are forced to drive, because the distances and environment are so hostile to other modes. It is easy to forget that New York City is a pleasant oasis from this situation; in the vast majority of America, even in most cities, living without a car is an abject hardship, undertaken only because of extremely limited means or as a form of political protest. I forgot to mention in my screed that from my perspective Mr. Ryan does not appear particularly concerned about safety, obesity, public health in general, or any such thing. Rather, he is concerned with the reputation of his employer, and is attempting to pass blame for the low weight ratings onto federal regulators. Check out how “super-sized” restaurant seating booths for places like Applebees and TGIFridays have become. You can fit four 300 pounders in there with enough room for a couple of kids. If people walked more maybe they could fit in their goddamn cars again. What is interesting is how little weight motor vehicles can carry relative to their own weight. What are we burning all those fossil fuels to move anyway, us or the vehicles we ride in? The R160 subway cars are 73,000 pounds and can probably carry up to 40,000 pounds of flesh and accessory fabric in a pinch. It is not a significant problem as most cars are usually occupied by just one person. In fact average car occupancy in Greater Vancouver BC (where I live) is higher than most North American cities and is still only 1.3. However, the cars themselves are getting heavier due to the American obsession with massiveness as an indicator of strength/safety, and their preference for using trucks where a small car would probably be adequate for purpose. This story is silly. It’s not a question of people not fitting in their cars, it’s a question of a silly government rule. The gov’t mandated weight capacity of the Caddy in the picture might be 362 pounds but the car can of course safely handle much more weight than that. The gov’t also has rules about removing the tags on mattresses and pillows, but that doesn’t make it newsworthy. I think the fate of the human race in Wall-E is going to happen not the stuff in the Rise of the Machines movies. What we need is to expland the sidewalk systems in the cities and suburbs to stop this nightmare from happening. Is This Battery-Powered Subcompact the Future of Car Sharing? Why Drag Two Tons of Car With You Wherever You Go?